You can quit smoking/save money more straightforward than you can imagine. Here are some encouraging scriptures about money. 1 Corinthians 6:19-20 Do you not know that your bodies are temples of the Holy Spirit, who is in you, whom you have received from God? You are not your own; you were bought at a price. Therefore, honor God with your bodies. How To Quit Smoking/Save Money Step By Step! You Can Quit Smoking/Save Money With A Little Help! How Much Money You Will Save When You Quit Smoking! 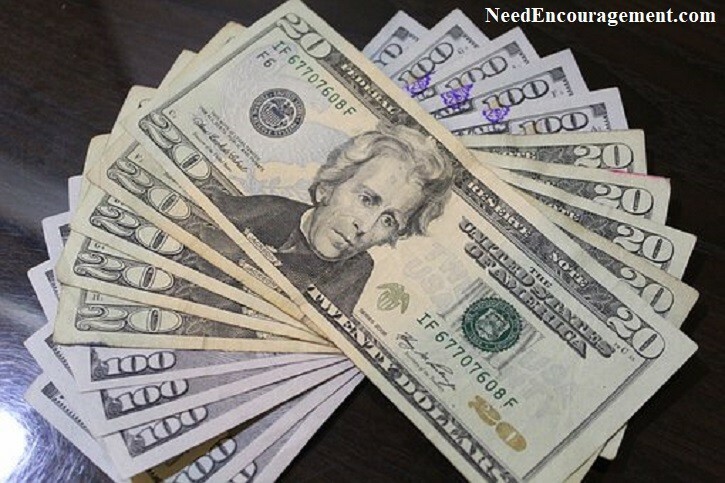 Your focus will be on how much money you will be saving, and this goes for all other product that you use and that you want to cut out of your life. Save money by quit smoking! (this also applies to any other addiction). Saving money will be a beautiful thing, but your health improvement will be a real reward! If you smoke one pack a day each day, and you pay at least the very least $6.00 per pack, you spend $2,190.00 in one year (including sales tax). If you are a two pack a day smoker, and you pay the very least $6.00 per pack, you spend $4,380.00 in one year (including sales tax). Price breakdown for money saved by quitting smoking cigarettes or any other consumable product! I Did Not Know How I Could Quit Smoking? I was so very frustrated that I decided either I was praying wrong, or even worse, God did not want to answer my prayer. I had a very strong addiction that I had to cigarettes. When I asked God to remove this very unhealthy habit, yet it did not go away right way. Although I kept on relentlessly trying everything to quit. I limited my cigarettes and even used a charcoal filter tip to cut the nicotine. The strange thing was that I was aware of the dangers of smoking, but that did not stop me. It was finally when a good friend of mine, David Pabley, encouraged me to quit smoking that I found success over this terrible addiction. When I see others smoking cigarettes, I do not judge them, yet I feel sorrowful that they have not yet learned how to quit smoking. I had to keep plodding along which I did, then the day came, on January 10, 1988, I finally quit smoking! Praise God for that! Tips On How To Quit Smoking/Save Money! In the days leading up to your target stop smoking day, begin cutting back on the number of cigarettes you smoke each day. Try to burn only half of a cigarette when you do smoke before you quit. Discuss with your doctor your decision to quit date, and ask if nicotine replacement therapy or other medications might help you stop. As you are making a plan on how to stop smoking, pick a date on the calendar for when you want to rid yourself of smoking. (if the method does not work the first time, keep trying until you learn how to stop smoking. It took me a more than just one try). Get other friends or family members to help keep you accountable and offer support. Add up how much money you’re spending now to see how much you’ll be saving. Chew plenty of gum and keep your hands busy while you are working on stopping smoking. Try to exercise more regularly and eat healthier foods. Stay close to God by praying. Thank Him for helping you to quit even before you stop smoking cigarettes. Get rid of all of your smoking paraphernalia. Throw away all your cigarettes, matches, lighters, and ashtrays. Plan to stay busy all day. Go for a walk or exercise. Go someplace where smoking isn’t allowed in the library or the movies. Eat foods you usually do not eat and take routes you don’t typically consider. The idea is to avoid any association with your usual patterns of behavior. Start using a nicotine replacement, if you’ve decided that would help you. More About How To Quit Smoking/Save Money! Also, make sure you eat healthily and drink lots of water and juice, this will give you something to do and help flush the nicotine out of your body. Avoid the situations that trigger the want for your smoking habit, and this is critical while you are learning how to quit smoking. Calculate all the money you’re saving on cigarettes. Consider how much better everything tastes and smells, and think about how all your secondhand smoke is no longer affecting your family and friends. Learning how to quit smoking will not only give you better health but will add money to your pockets! Avoid alcohol. Drinking makes it more likely you’ll slide back into smoking. Eat right and exercise. A healthy diet and an exercise regimen can keep your mind off cravings and draw attention to how much better you feel now that you’ve quit smoking cigarettes. Reward yourself. Buy something special with the money you’ve saved on cigarettes. Having sugar-free gum or hard candy in your mouth and something in your hand will help with the void of the cigarette you were addicted to for such a long time. Have on hand cigarette substitutes like carrot sticks toothpicks. Remember that you can do all things with God’s help!